One category of movie at the 2006 Toronto International Film Festival is the feature that comes with its acclaim already built. “The Wind That Shakes the Barley,” director Ken Loach’s rich and gripping political drama set in 1920 Ireland, won the Cannes Palme d’Or just four months earlier. “Wind That Shakes the Barley” arrives in Toronto with high expectations and one’s greatest complement may be that it surpasses all hopes. Actually, the best thing one can say about this relevant tale of British occupation is that Loach has made his finest film. It certainly is his most epic film. Yet, alongside the lush Irish countryside and perfect period details lie the human attributes of his landmark, early films, “Poor Cow” and “Kes,” an understanding and in-depth connection with the human condition. Ireland 1920 is a welcome spot for Loach, who’s been making films since 1968. Like American director John Sayles, Loach is a patriot filmmaker, someone who flaunts his politics openly. In “Wind That Shakes the Barley,” Loach recreates the Irish rebel fighters who strike back against the violent Black and Tan squads representing England. At risk is any hope for independence of Ireland. 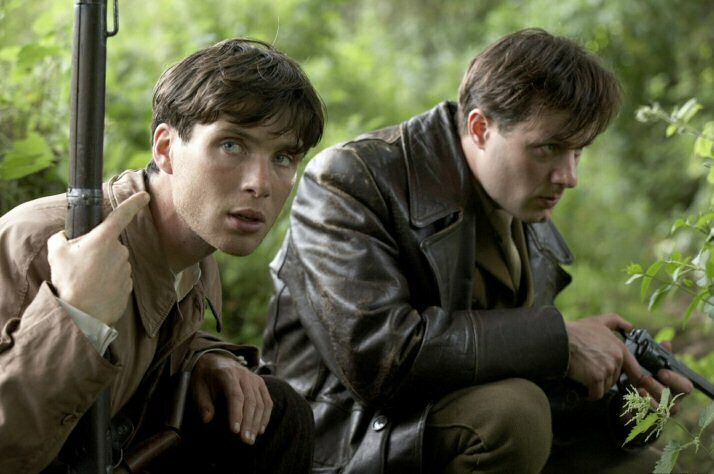 Damien (Cillian Murphy, left, in the picture above) and his brother Teddy (Pádraic Delaney) fight the British along with other poor young men from rural villages. When Ireland’s peace seems at hand, civil war erupts and a new chapter in violence begins. Cillian Murphy “(Red Eye,” “Batman Begins” and “Breakfast on Pluto”), whose dramatic skills are every bit as potent as his piercing blue eyes, brings home the human cost of democratic freedom. Early into the film, it’s clear that “Wind That Shakes the Barley” would be less powerful with anyone else in the lead. “Wind That Shakes the Barley” makes a strong political statement equal to Loach’s Spanish Civil War drama “Land and Freedom” and Los Angeles union tale “Bread & Roses.” While the film may be steeped in Irish history, Loach’s connections with contemporary politics are clear. You may not agree with the thread Loach makes between 1920 Ireland and current-day Iraq but the film is better for the substance the veteran British filmmaker brings to Paul Laverty’s screenplay. It’s the surest sign of Loach’s master status, someone who generates excitement with every project. 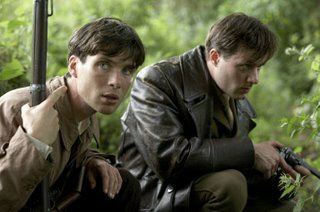 IFC Films plan to release “The Wind That Shakes the Barley” in late 2006 in time for Oscar consideration.